Hinged floorplate with release inside triggerguard bow. Removable floorplate---released by pressing a bullet tip into the hole and sliding the plate rearward from its concealed flange at the forward end. 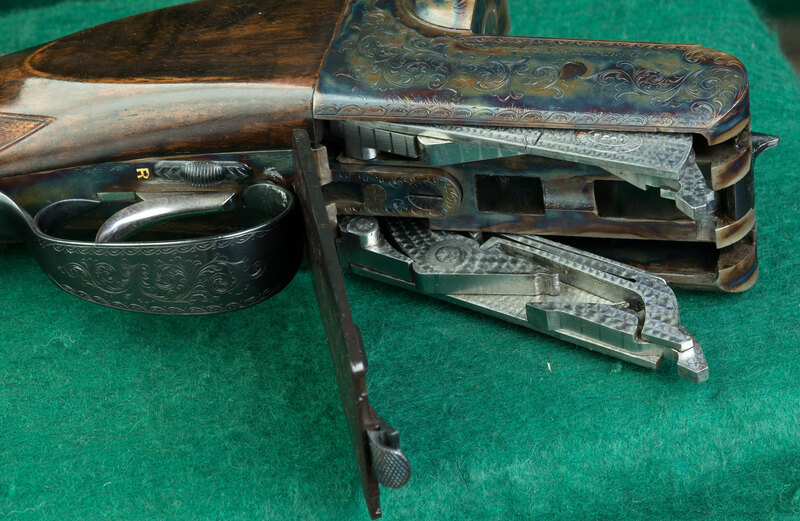 Floorplate - A cover, usually of metal, usually hinged and latched, sometimes simply detachable, on the bottom of a bolt action rifle action which, when opened, allows the internal magazine to be emptied.